Visit Kensington Park on Facebook! Country and Urban living all in one! 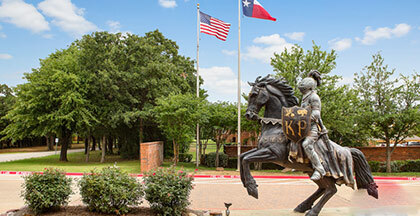 Kensington Park offers exceptional services and state-of-the-art community facilities. For those seeking the rare combination of convenience and features, we are a rare jewel in the crown of Corinth! With its location just a short distance from the Dallas area, making choices between activities will be difficult. You will be spoiled by all our incredible community features which include a luxury clubhouse with kitchen, billiard tables, shuffleboard table and a state-of-the-art movie theater. Sunchase American values our relationship with each of our residents. In the event that you have a comment or suggestion, we invite you to take our online customer survey and provide feedback! We offer our owners the very best in property management. How do we do it? By simply hiring smart, friendly people. We believe team work and service are the keys to driving our business. Looking for a career in Sunchase? We invite you to take our resident survey, it's quick and confidential! Your feedback helps us as a company assist you better. We invite you to take our quick resident survey. Your feedback helps us as a company assist you better. Copyright © 2019 Sunchase American Ltd. All Rights Reserved.